Proto metal is in the works, but I question their tenacity. One thing about BOC in the realms of the hard rock of their day, was their ability to write constantly interesting and memorable guitar lines. The vocals, oh these are the worst thing this side of Ozzy, but it doesn't offend like some of the earlier The Who albums. The songs show progression, and the opener is actually a pretty fiery rocker. Everyone is competent, and it is somewhat an interesting track. That guitar is fine, too. Scaling and climbing, a treat, actually. The Last Days of May, and we are subjected to a softer track, with a hypnotic feel. This is psychedelic rock. 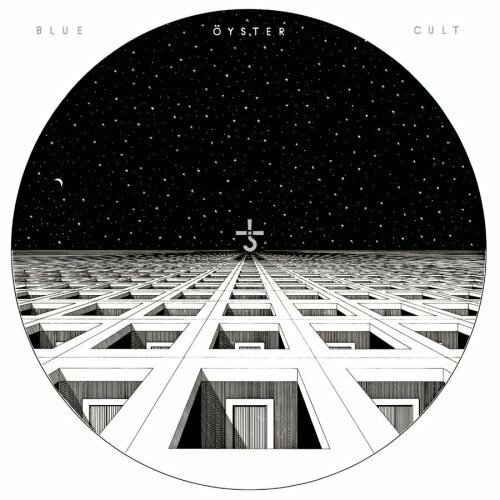 Blue Oyster Cult were also one of the most eclectic hard rock bands. Their moods vary, and they do it well. No, at worst, this album doesn't ever feel like it has filler. It is quite a solid debut. Quirky to be sure. Mixing psychedelia, (very) hard rock, grooving rock, and some even more interesting additions. And that guitarist sure knows what he is doing. Stairway to the Stars has that road rage rock down pat, with the drum fills chiming in behind the driving rock. Too bad he song isn't very interesting, in the realms of rock, but the vocals aren't so bad. Shoot them for having the gall to write another song with weak lyrics, though. Before the Kiss is more rock, but doesn't dazzle me. Maybe it is because they are able to do better on the very same record, and the dancing guitars don't really dance. They just kind of sway. And those vocals are atrocious. Great leads, though. More spacy haze rock follows with Screams and She's Beautiful as a Foot. Processed recording and a strange vibe. Quite strange. Especially in the lyrics department, still pedestrian, though. Then we burn alive. Cities on Flame With Rock and Roll. Wow, I don't think any band could rock so hard in this era. No other band I could think of could write such enjoyable guitar lines and soloing. No, not even Blackmore, although that particular fellow would go on to do so many great things with the guitar. That chorus is pretty catchy, too. Workshop of the Telescope is average at best, and is a let down form the last song, but the playing has a neat distortion, and the solo is pretty out there. Redeemed is another strange mystery tossed your way. It seems to be a folk rock bluesy tune. Who knows. It isn't too bad, but it isn't great. And, it ads to the overall mystique of the record. A quirky and rocking debut, where all the musicians are competent, and the guitar playing is very strong. The vocals could be better, and the lyrics are banal. But, this is a great hard rock introduction.